One winter night I was looking through the archives of Uzhgorod United Methodist church. And all of a sudden, I found out, that we’re having a special anniversary and a remarkable event in our church’s history in September, 2017, that is – our ministry revival 25th anniversary. I called the pastor and told him about this. He asked me, if I’m going to organize the event. “With great pleasure”, I responded. 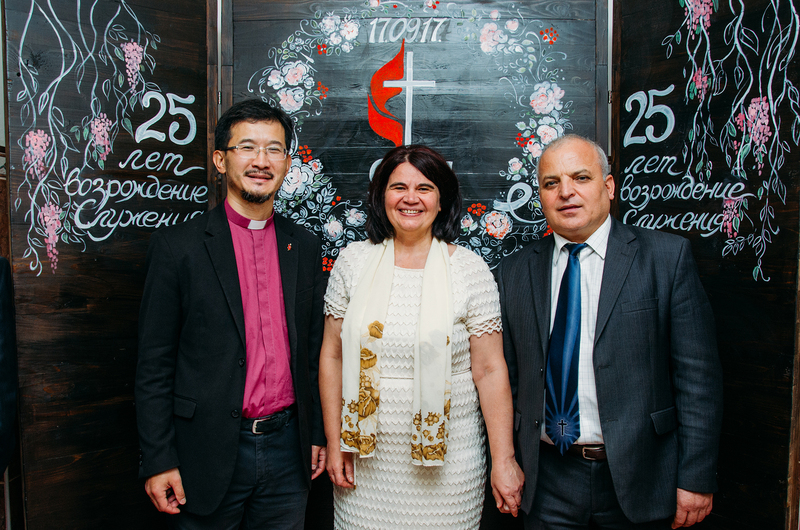 In spring, during the Annual Conference we fixed the date together with UMC Eurasia bishop Eduard Khegay and the district superintendent Vasiliy Vouksta. I was curious about the deepest feelings my church experienced. I’ve been inspired with the life story of Ivan Vasilievich Vouksta and excited with his faith and ministry. September, 17, 2017 we celebrated this huge event. With great joy and fun we worshiped God and thanked Him for the wonderful history of our church.